- Fred, you’ve just had your contract with Shakhtar extended for five years. What are your impressions? - I am very happy to have had the deal extended. I hope I can benefit the team for a few more seasons. I am experiencing only positive emotions. Because this whole situation was very unpleasant for me. For so long I’ve been just watching Shakhtar games on TV. I really wanted to take to the pitch and help my teammates. But, thank God, I'm here, training and hoping to play. - How is the training camp in the Netherlands going? What has changed in training with the arrival of the new coach? - A great coach, just as the rest of his staff. New ideas, new ways of working. Currently, Fonseca is trying to rebuild our play. Training sessions are tough, but that's good. We will approach the official matches in great shape. I want to win Shakhtar’s every competition. The major goal is raising the Ukrainian Super Cup. - In what role does Paulo Fonseca see you? - Just as previously, I will play in central midfield. The coach talks to us a lot, telling us how we should act in different situations. 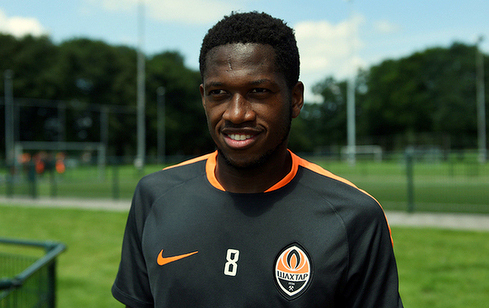 Fred became Shakhtar player in June 2013. During this period, the Brazilian made 89 appearances for Shakhtar and scored 7 goals. He won five titles together with the team. Ukrainian Super Cup Winner 2013, 2014 and 2015.